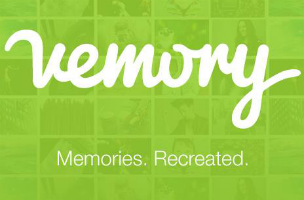 Vemory has announced the launch of its photo organization and video creation platform on iOS devices, which works to automatically organize photos from a user’s camera roll and social network profiles (Facebook, Twitter, Instagram, Tumblr and Flickr). Once organized, the app automatically gives soundtracks to groups of themed images and presents them to users as videos that can be shared with friends, or on the app’s included social platform. When starting Vemory, users can connect to as many social networks as they’d like, or can start with the images on their device’s camera roll. Using time, location and popularity data (from social media), the app automatically organizes images into videos based on outings, parties and other life events. Did you go to a birthday party and post a lot of pictures to Facebook? The app would recognize this isolated event, and automatically aggregate these pictures into a music video. This initial formation process can take some time, depending on the number of services connected and the amount of content available therein. The app separates content based not only on individual dates, but may present users with a video for the “Best Photos of All Time,” or the “Best Photos of 2012,” depending on likes and comments on Facebook, for instance. Elsewhere, the app may present videos for users typically tagged in a user’s images, a location someone may have traveled to on vacation, tagged events like fairs, and so on. While videos may be automatically formed and animated, users have control over the final products they share with others. This includes options for removing imported comments, or adding or removing entire images to / from groups, as well as the ability to choose from a variety of templates, or themes for the video. A “linear” theme, for instance, presents large versions of pictures with associated text comments presented on a timeline at the bottom of the video. Meanwhile, a “floating” theme presents images on rotating cubes floating in the sky. Users can choose the song clips that play alongside videos as well, previewing as many combinations as they’d like until the video is just right. Of course, users may not wish to take the time to edit their content, and can instead quickly post with the defaults the app has chosen itself. Completed videos can be shared with other users within the app, or to Facebook, Twitter or YouTube. Projects can also be shared via email or text message. As a social platform, Vemory users can follow others, view their content and “like” or comment on posted projects. Vemory is available to download for free on iOS devices.